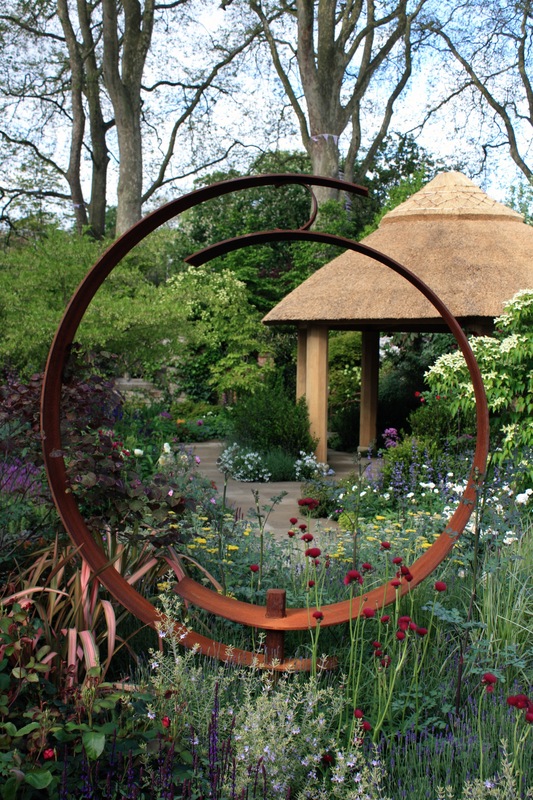 Of all this year’s Chelsea gardens, Roger Platt’s design for the main sponsor, M&G Investments, is easy to love. Some may describe it as timeless, others as slightly dated, but what it lacks in new ideas it makes up for in crowd pleasing features and planting. In some ways it displays all the lack of resolve and bravery that many of us exhibit in our own gardens; hanging on to plants and features we know have reached their sell-by date but can’t bear to part with, hoping that their time will come again. The excuse, if one is needed, is that the aim of the garden is to capture the design trends and themes of shows past and present. A near impossible task which could have resulted in design schizophrenia or, as it turns out, a reasonably harmonious if pedestrian scheme. The guiding idea is to incorporate both garden features and planting from across the last century. Interestingly, the plants achieve harmony with much greater ease than the features, which lack any kind of synergy. A mullioned window at the end of the garden provides a backdrop to a thatched oak garden building (a bit too reminiscent of an Hawaiian tiki hut for my liking). In the foreground a very attractive rusted metal sculpture by Anvils Blacksmiths really steals the show, providing the frame for a thousand photographs. The plant list is one of the most extensive at the show, with hollies, laurels, cornus and rhododendrons representing the tastes of the early 1900’s, oodles of roses taking us through the middle of the century and Cirsium r. ‘Atropurpureum’ and the ubiquitous Anthriscus sylvestris ‘Ravenswing’ bringing us firmly into the noughties. 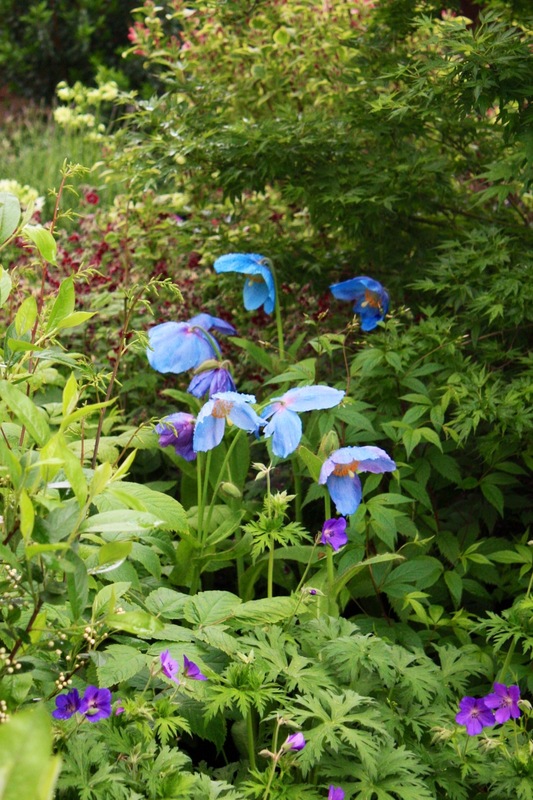 Roger Platt is one of many designers to incorporate the tantalisingly tricky blue poppy, Meconopsis betonicifolia (below) into his scheme. This Himalayan beauty would have found conditions yesterday much to its liking – damp and cool. 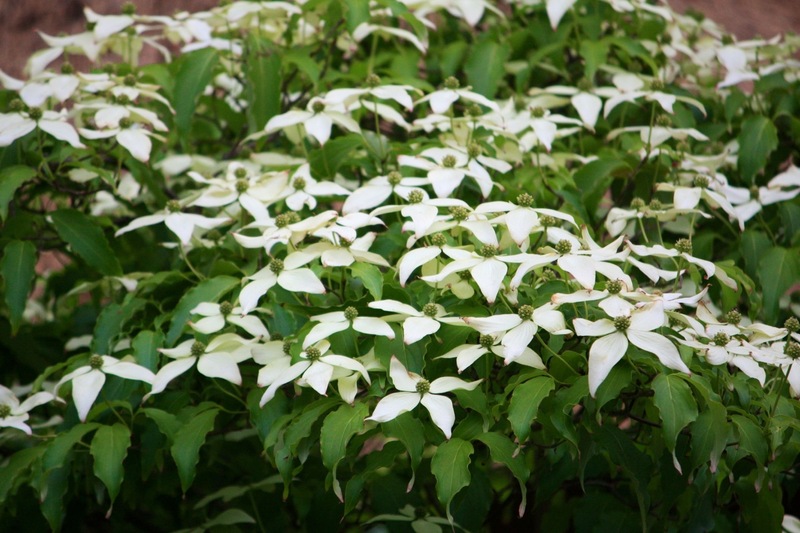 A plant to admire rather than covet, unless one lives in the north or west. 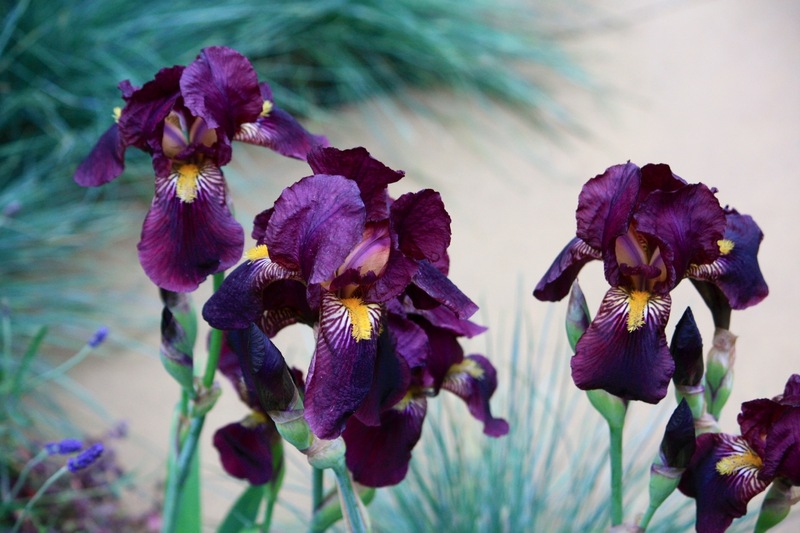 Conversely Iris ‘Deep Black’ (above) would have been shivering its timbers in the inclement weather, yearning for a decent spell in the sun, like the rest of us. As the pole position garden, ‘Windows Through Time’ establishes a mood of reluctance to genuinely move Chelsea on, despite its centenary year. A pretty and pleasing composition, but providing no real vision for the future. In the shelter of the great pavillion, where horticultural excellence still reigns supreme, I can live with that, but in the show gardens I expect a whole lot more. Yes, we are very lucky here in the UK to have so many gardens and shows in close proximity. Visiting can become a bit addictive!